Back when Persona 4 Golden released, I considered its advent as the sign that we as a society had hit the point of "Peak Persona." That game took the already-polished structure of Persona 4 - itself a refinement of Persona 3's pioneering disruption - and buffed out the few remaining rough spots in the design. In the wake of that release, I thought that the series couldn’t possibly top itself without veering radically from the tried-and-true formula Atlus and P-Studio had devised over the years. A real sea change would be needed to make things fresh again. To me, Persona 5 would need to be as much a departure from Persona 3 and 4 as those games were from Persona and Persona 2. And I was even disappointed when early word came out that P-Studio would stick to its guns and not depart from the anime high school and daily-life themes that had done so well for them before. Thank goodness I'm not the guy in charge! I was, thankfully, dead wrong. Based on the 30-odd hours I've played so far, Persona 5 could well be the actual marker for "peak Persona." Read on for a bit more (spoiler-free) detail about my time with the game. I did say that Persona as a franchise was in need of a sea change to remain relevant, and I do stand by that assertion in general. Where I was wrong was in judging that Persona 5 couldn't possibly improve on the formula Persona 4 perfected. 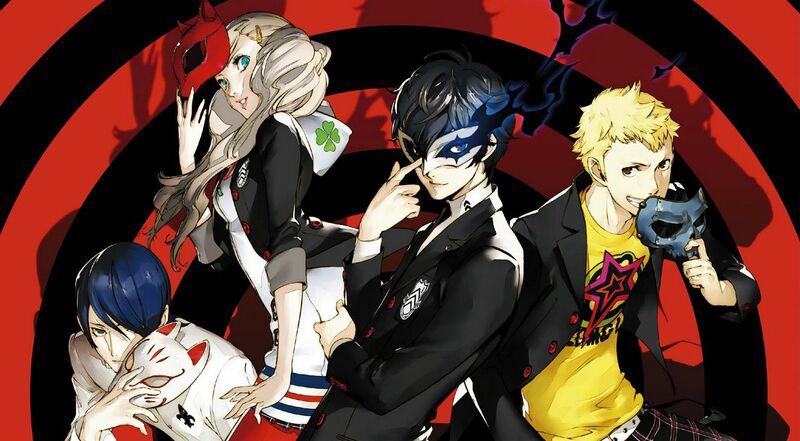 Indeed, just as the recently-released The Legend of Zelda: Breath of the Wild hearkened back to the very first Zelda title to restore Hyrule's sense of mystery and wonder, Persona 5 sneaks into the vaults of its earlier iterations, and even its cousins in the core Shin Megami Tensei titles, bringing back little gems of design to bring out its own unique spirit. It's also the kind of game to cite to when you want to point to an example of how context, tone, and aesthetic matter as much as mechanics and technology when defining a game's identity. Truth be told, the game is virtually unchanged from Persona 3 and 4. Players will once again shepherd their characters through a year in the life of a paranormally-gifted high schooler. They'll balance their studies, their spending money, and their relationships with occasional delvings into supernatural, enemy-infested dungeons. 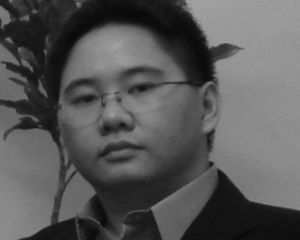 So far, so Persona. Except the why of it matters a great deal. There's an edge to Persona 5, one seemingly absent from the (mostly) sunny positive vibes of Persona 4, and more reminiscent of Persona 1 and 3. Set against the impersonal backdrop of Tokyo's urban jungle, themes of alienation, apathy, and frustration at injustice run strong through the game's plot and characterization. 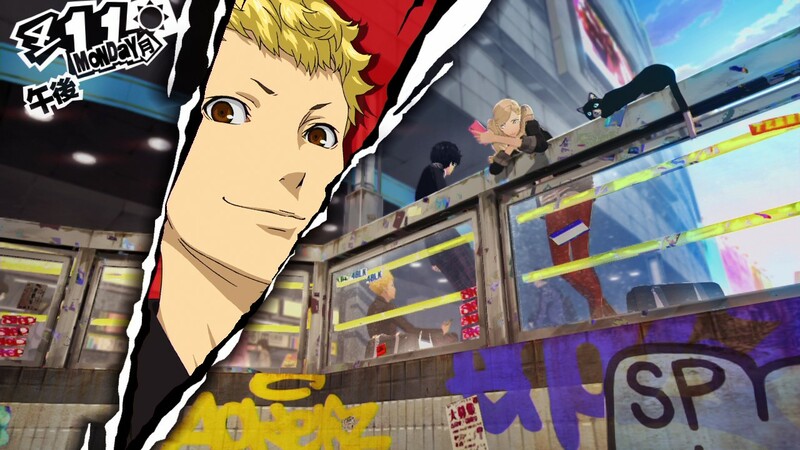 Persona 5's heroes do strive to do good, but struggle against their status as outsiders, often motivated as much by resentment of their powerlessness as by what's right and just. So far at least, the game has made good on some its more divisive, crime-and-punishment-themed promotional motifs. The game does a better job of easing players into the mood, beginning with a rollicking interlude that belies the typically slow openings of previous games. It also helps that the core story is more propulsive than previous outings, with what to do next, or what goal to work towards, always clear. It's a quality shared by the earliest, more traditionally-built Persona games, and 5 meshes it well with the otherwise languid everyday pacing. If there's one thing that hasn't changed perhaps as much as it needed to, it's combat. Though helpful tweaks to the interface make fights seem more dynamic and "actiony," at its core, the game is still about finding and exploiting enemy weaknesses to score "One More" actions. Additional twists are added in the form of new elemental damage types, and firearm sub-weapons, but fundamentally the same thing is happening. 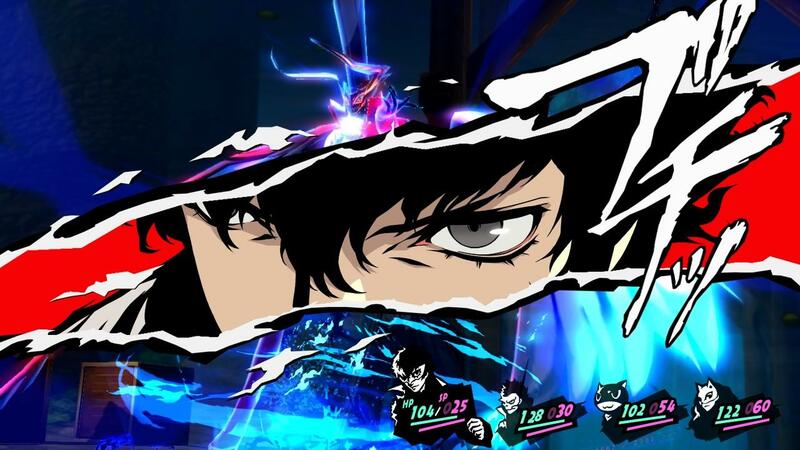 Post-battle looting has been enhanced by the addition of a system mimicking old Persona and Shin Megami Tensei-style "demon negotiation," but ultimately the combat is as it used to be. At least the environments aren't boring, anyway. Most of the dungeons are now bespoke, with set layouts and environmental puzzles to keep things fresh. A grindier, procedurally-based dungeon is also available for the delving, but only side quests and non-story-essential events happen there, leaving the potentially boring corridor crawls in optional territory. It's a bit early to definitively pronounce Persona 5 the peak of the series, but it certainly feels like a culmination of sorts, and in light of the fact that its director and key staff responsible are now working on something else entirely, it may be an endcap for a particular era.